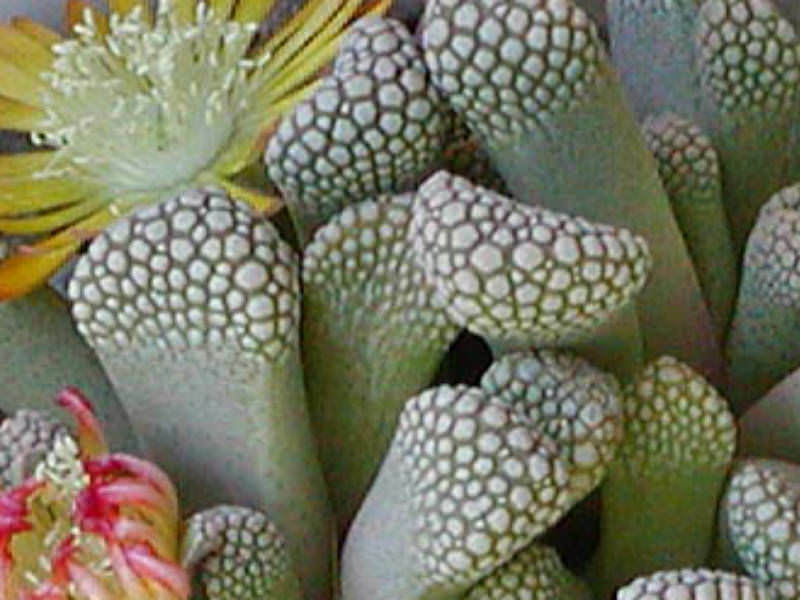 Titanopsis luederitzii is a local or morphological form of the variable Titanopsis schwantesii. 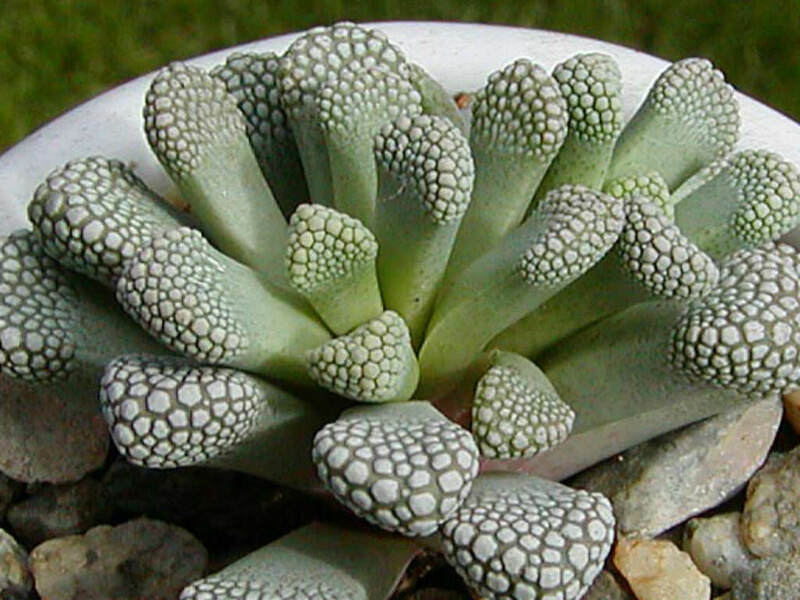 It distinguishes for the leaves that are dark yellowish green with brownish coloring. 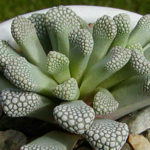 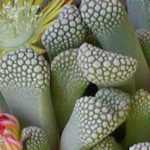 It is a mat forming succulent with rosettes up to 2 inches (5 cm) in diameter. 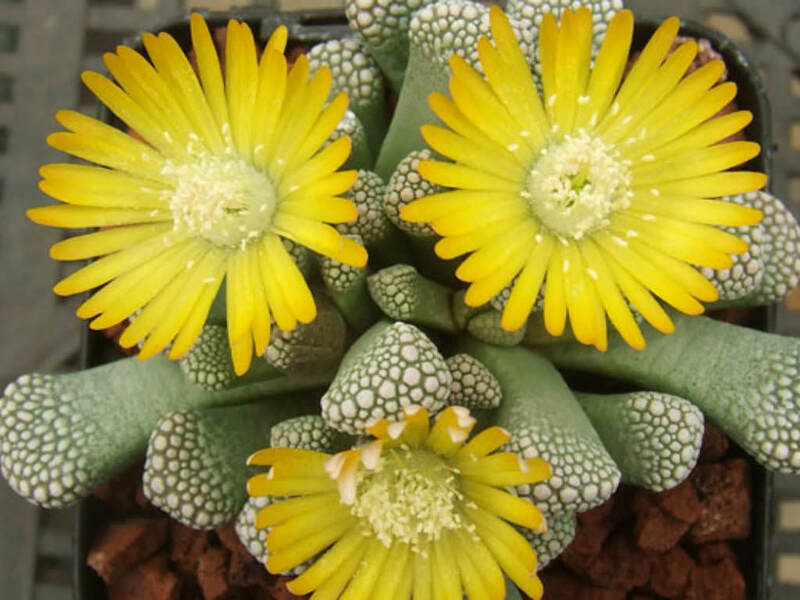 The flowers are bright yellow with flesh colored tips and up to 0.8 inch (2 cm) in diameter. Native to South Africa (Great Namaqualand) and Namibia.